(e) the loan has not otherwise been in full compliance. Estonian p2p lending service isePankur successfully improved the loan quality in 2010. The company added several validation steps for loan applications. On top of the existing credit bureau checks and it’s own scoring model isePankur introduced several manual checks on the borrowers in May and July. Since September borrowers need to submit bank statements which isePankur uses to verify information presented in the loan application. The measures implemented are listed in detail here. CEO Pärtel Tomberg told P2P-Banking.com: “… these [new] loans will … be the most profitable social banking loans for investors across the globe”. 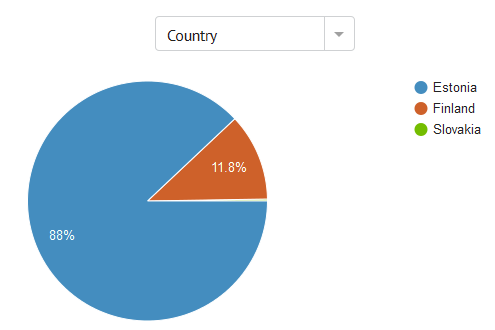 To prove this claim Isepankur is publishing real time performance data on its marketplace. ‘Unlike other companies you can see the quality of loans per month so the growth rate of the portfolio will not hide the actual returns from loans issued previously.‘ says Pärtel Tomberg. The charts reflect the drastic reduction of bad debt from loans issued after May 2010 and the very positive impact on lender returns. I just watched the recorded webcast. It’s great that Lending Club uses these to communicate to the users. However I found the way some information were presented to the lenders to be controversial. About 11 minutes into the presentation the company advertises the Annualized Default Rate of 2.36%. Looking at the slide at 0:13:29 the company states “Less than Three Loans out of the 100 Default”. Is that right – does the percentage of Annualized Default Rate figure match the percentage of loans that default? Annualized Default Rate is calculated by dividing the total amount of loans in default by the total amount of loans issued for more than 120 days, divided by the number of months loans in default have been outstanding and multiplied by twelve. The loans issued for less than 120 days are excluded from the calculation because loans are unlikely to default during the first 120 days. Under the formula this gives us an annualized default rate of 8.3%. That sounds much better, doesn’t it? The important difference is that the annualized default rate figure is just a snapshot taken right now. It will rise over the time until the loans mature (if the lender does not invest in new loans). So after 36 months it will be much higher while the figure “50% of my loans defaulted” will not have changed after 36 months (if the other 5 loans continue to be paid on time). You may want to ask, if the figure could fall instead of rise? No, for a given portfolio the annualized default rate can only go up over time – no loan can return form a default but addituionally further loans could default. First: An annualized default rate of 2,36% does not match the message “Less than Three Loans out of the 100 Default”. 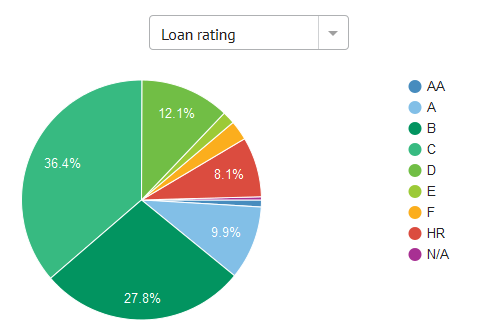 Second: Most of Lending Club’s loans are very young and the overall loan volume is growing. So even if – due to growth – the annualized default rate stays at 2,36% overall, it will rise higher for given loan portfolios orginated in the past. (Compare: ‘Lending Club Default Rates Much Higher than Initially Expected?‘). Note that the same effects impact the Net Annualized Return rate. As reported in the past MYC4.com has serious operational problems making it an investment with negative ROI for the vast majority of lenders. MYC4 has taken measures to recover as much of the outstanding loan amounts as possible, but progress is very slow. Repayments have been delayed. Birima cites technical problems and a bad economic situation in Senegal. FED seems to have the worst status. MYC4 reports that collections nearly stopped due to a lack of staff and working capital. Borrowers are said towithhold repayments in speculation on a collapse of FED/CMC. Lending Club Default Rates Higher than Initially Expected? “… Several .. p2p lending services show clear signs that default levels will (or have) surpassed the initially published percentages of defaults to be expected based on external data. … The one exception from the rule is Zopa UK, which successfully manages to keep defaults low…”. 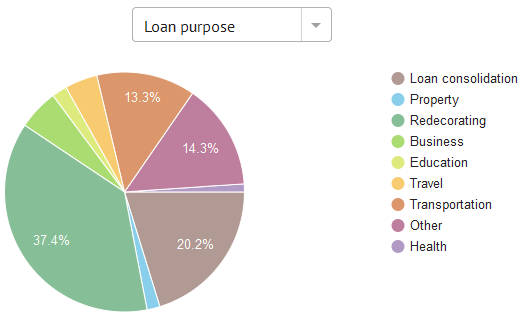 As sample let’s look at the loans Lending Club issued in Dec. 2007. Total loan amount is 1,322,850 US$. These loans were approx. 2 years old (in January) and will run about 1 year more. 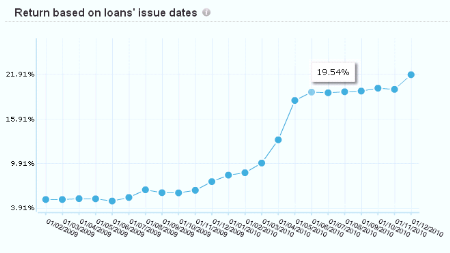 Is it a fair assumption that in Jan 2010 22% (or more) of the loans issued will have defaulted? I know I did not take the final step to split these numbers by credit grade, but if I would have done that, are you arguing that the default levels are low (or at least lower than the scoring predicted in Dec 2007)? If Dec. 2007 is for some reason a bad performing month, feel free to do the above with any other month from 2007 for the discussion and we continue with these numbers. ROIs for Lending Club lenders will be, once their investments mature, likely lower than the average shown at the moment at the Lending Club statistic page. Prosper has published a review of the results of a legal collection test. 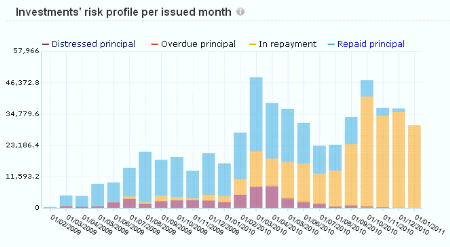 In November 2007, Prosper had selected 74 loans with an outstanding principal balance of approx. 704,000 US$ to conduct a test for a legal collection strategy instead of including them in a debt sale (which at that time was the usual Prosper procedure for bad debt). The cases were handed over to the law firm Hunt & Henriques. Since then there was none or little official communication about the progress. Relying on other sources, P2P-Banking.com reported last year that several of lawsuits in these cases were lost. The new blog post by Prosper describes in detail which steps were undertaken and what results the measures yielded. The only step that can be counted as somewhat successful was the pre-legal phase of letters threatening lawsuits which recovered about 40,000 US$ payments. 66 accounts then went into the legal process. Surprisingly 16 cases (24%) had to be closed because the debtor moved out of state (3) or Prosper was unable to obtain service. On a sidenote: Interested parties have raised the questions why Prosper did not apply to the court to allow service by publication, which seem to legal and often used in California as P2P-Banking.com was told. In this case, after other measures failed the plaintiff runs an classified ad in a newspaper. It does not matter if the defendant actually sees this newspaper ad.